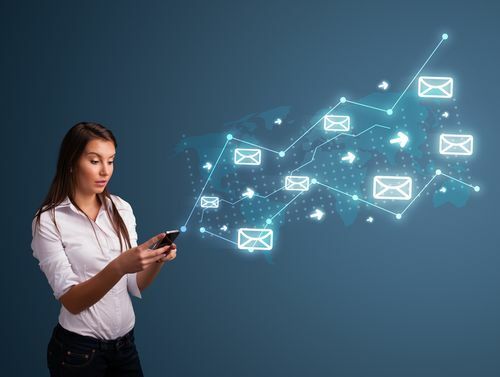 Adopt narrow goals: Determine what you want to accomplish with your email lead generation program, such as a specific number of new leads, contacts with key personnel at specific companies or expanded geographical reach. Avoid being tempted to add in other goals, such as promoting multiple products or advocating for another department. Define your goal in one sentence and stick to it. Develop a high-quality mailing list: Use your own lead database and customer information to develop an up-to-date mailing list. Make sure all contact information is recent, accurate and correctly spelled. Send your email messages to customers you are most interested in doing business with. Create a concise but powerful sales message: Take the time to distill your sales message to its shortest but most potent form. Craft persuasive and attention-getting headlines and openings. Stress the benefits of your company’s offerings and end on a strong call to action. For B2B, cultivate other contacts and entry points: You may want to go directly to the CEO, but recognize that engaging with other personnel, such as the chief of marketing, head of sales or executive assistants, can provide an entry point. These individuals can subsequently provide credible referrals to the people you most want to reach. Close carefully: Remember that your goal is not to immediately launch into a full-blown presentation. Use your email responses to make important personal contacts. Respond and close with requests for a brief phone conversation so that you can present your concise message and answer questions. Stronger sales processes can come after you’ve made personal contact. How could you improve your lead generation by using these strategic email marketing techniques?